The Adamses were the first father-son duo to be elected President. The Adams family connection to the New World goes way back. In fact, John Adams’s great-great-grandparents were among the Pilgrims who landed at Plymouth in 1620. John and John Quincy experienced similar careers: both went to Harvard, both were lawyers, and both were elected to one presidential term. George Herbert Walker Bush and George Walker Bush were the second father-son duo to reach the White House. 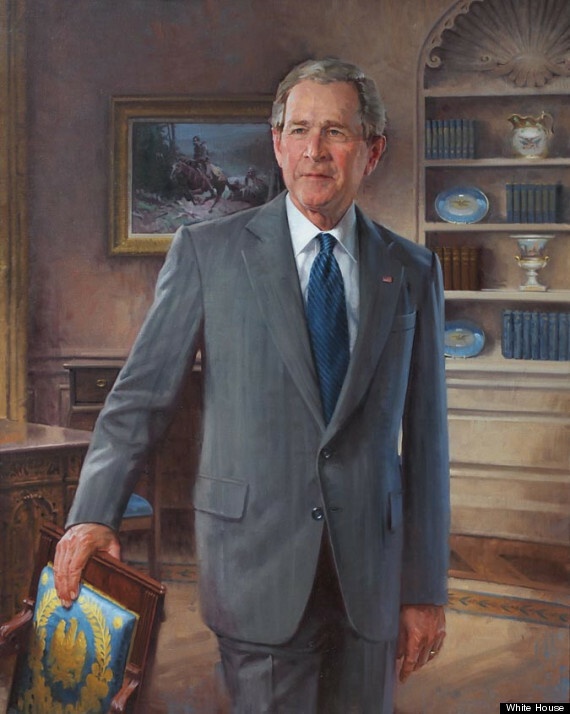 Incidentally, the Bush presidents share some similarities with the Adams presidents. Both John Adams and George H. W. Bush served as vice presidents before being elected president. John Quincy and George W. both entered the White House under controversy. John Quincy Adams defeated Andrew Jackson and Henry Clay in the election of 1824 – in what was dubbed “The Corrupt Bargain” by Jackson supporters. In 2000 George W. Bush defeated Al Gore in a presidential election that wasn’t finalized until five weeks after Election Day. Neither John Quincy Adams nor George W. Bush received the majority of the popular vote in their elections. As a matter of fact, the elections of 1824 and 2000 were both decided by outside of the Electoral College. The House of Representatives made the final decision in 1824, and in a five to four vote, the U.S. Supreme Court ended the 2000 election with a George W. Bush victory. The Harrison family name was etched in American history books when Benjamin Harrison V signed the Declaration of Independence in 1776. The Founding Father Harrison had a son named William Henry, who eventually became a war hero, a president (for thirty days), and the origin of a presidential legend. William Henry’s grandson, Benjamin would also reach the White House when he was elected in 1888. The election of 1840 was truly a national campaign with slogans, songs, and even nicknames. William Henry Harrison, or “Old Tippecanoe,” ran as an everyman candidate who was born in a log cabin. However, Harrison’s beginnings were far from modest. The Harrison family had been a wealthy Virginia family from the beginning of the nation. As the grandson of a president and the great-grandson of a signer of the Declaration of Independence, Benjamin Harrison brought a distinguished name into the White House. However, most historians agree that his one term as president didn’t shine nearly as brightly as his family name. James Madison and Zachary Taylor were second cousins. James Madison was a devoted student of history, law, and politics. As a an influential Founder, he played a leading role in framing the Constitution and introducing the Bill of Rights. Zachary Taylor, on the other hand, was a military hero who arguably knew little about government, law, or politics when he was elected. How about that? The Father of the Constitution and the president who was a first-time voter at his own election are related. 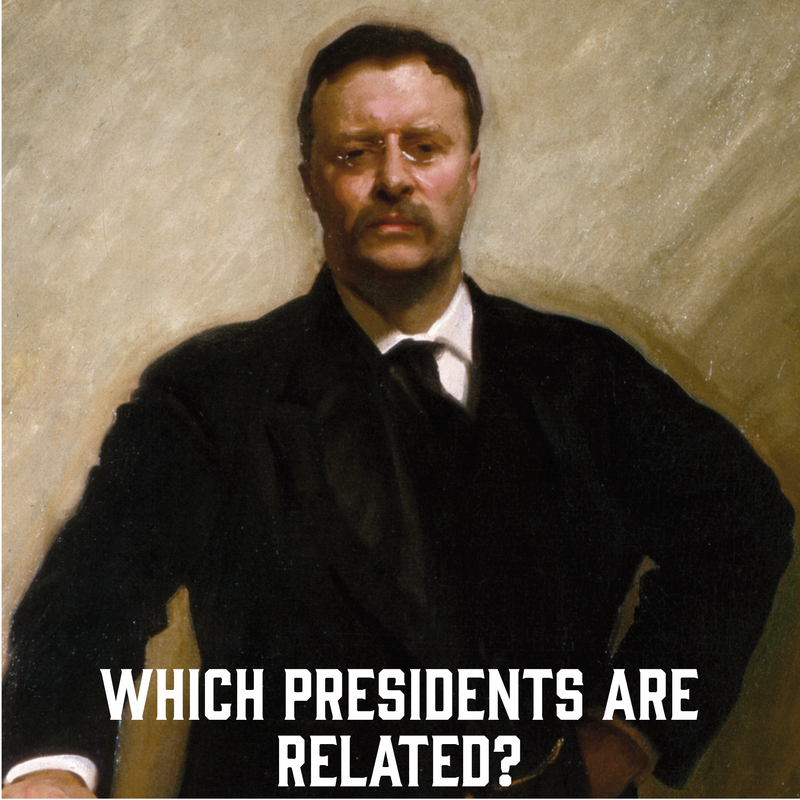 The Roosevelts were fifth cousins. Teddy was the uncle of Eleanor. In fact, when Franklin and Eleanor married, Teddy gave the bride away. Teddy’s signature can be seen on Franklin and Eleanor’s marriage certificate below. Genealogists have determined that FDR is related – by blood or marriage – to a total of eleven presidents: George Washington, John Adams, John Quincy Adams, James Madison, Zachary Taylor, William Henry Harrison, Benjamin Harrison, Martin Van Buren, Ulysses S. Grant, and William Howard Taft. Wilson, Jr., Vincent. The Book of the Presidents. Brookeville, MD: American History Research Associates, 2013. Next Post Which presidents were generals?